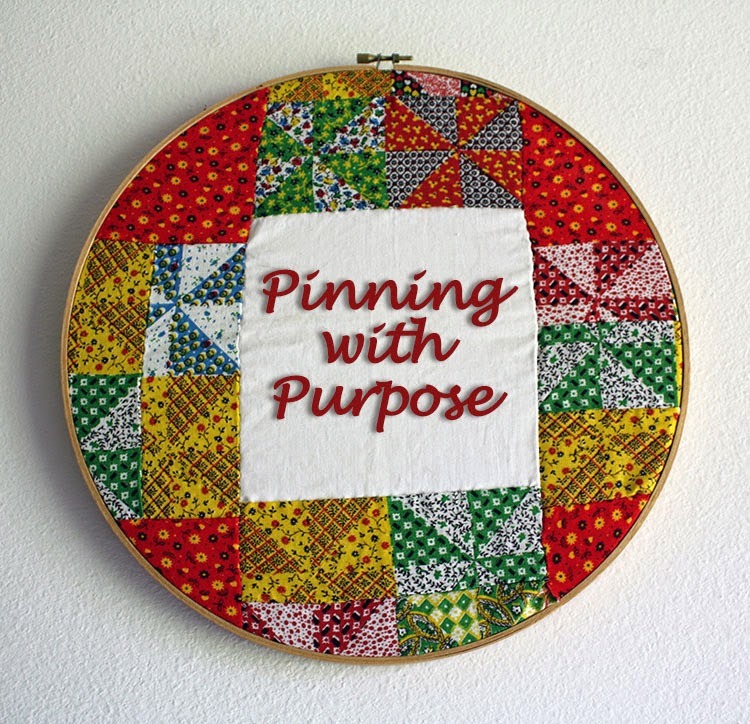 After all the birthday merriment this week/weekend, I'm running bit behind on today's Pinning with Purpose. I do hope you'll forgive me. As a reminder, here's some info on Pinning with Purpose. Each week, I pick out a few pins from my Pinterest boards and try to recreate them or use them for inspiration. And, I challenge you to do the same. Find a pin that gets your creative juices going; be it a craft tutorial, recipe, style inspiration, or organizational tip and run with it. I encourage you to share your results on your blog and then link it up here. I do ask that if you are going to link up here, that you mention it on your blog with a link back. As well, if you want to pin anything seen here, please make sure you go to the original post to do it. Big thanks to Jenna at The Painted Apron for sharing her super fun and festive Halloween tablescape last week. Thank you Jenna! Once again, I was too ambitious for my own good and only managed to get to one of my picked pins. (I was too busy to make dessert. How is that possible!?) The one I did focus in on was this adorable bracelet. I decided to be less precise with my bracelet and went for my jar of white buttons and bowl of mixed jump rings. First, I picked out some similar-in-size buttons. From there I sorted through my jump rings for larger ones. I wasn't concerned that they match in metal or size, just that they were big enough to work. I'm really happy with the results of this project. I ended up wearing the bracelet all day and even my 14 year-old niece noticed it. Win! For this next week, I'll be working on. . .
Making this cute cut-out skully tee for Halloween from my HOLIDAY | All Hallow's Eve board. It's based on this original skully-tee tutorial. As well, after a week of indulgence, I want to get back to eating better. As such I'll be adding this Skinny Tuna Noodle Casserole to the menu (from my FOOD | Healthy-er Eats Board). Now it's your turn to share what you've been up to with your Pinterest Pins. I think your rendition of the button bracelet is cute and more creative with the slightly different size and style of buttons and the different colors of jump rings.